ShareHistory is the vision of me, Jane Smith inspired by two men, Frederick Goodwill and Joseph Kirkland. It was from them I inherited an album of photographs of Bangalore, South India at the beginning of the twentieth century and documents relating to Bilston, West Midlands from the latter part of the nineteenth century. This material had been shut away for a long time and lost to history because it was only available to me, as custodian. I thought every home must have history like this - even if it is only one photograph - it may be no photograph but just memories, stories or research. So here it is, a website to help you share your history. These are some of the reasons why people have shared their history. names but I know that it was taken in the 1920s at Aberystwyth but part of the history has been lost which is sad"
"What I loved about this picture was the mixture of old and new. What we see today is history tomorrow. 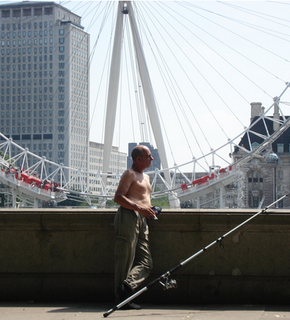 The fisherman was fishing for eels in the Thames and supplying London restaurants." 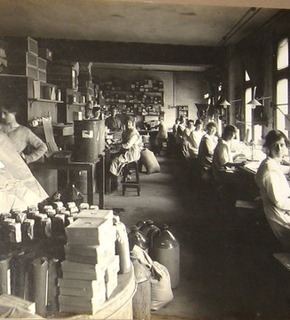 a factory at the beginning of the twentieth century. It's a gem."